By the time this post goes up, there will be approximately four hours remaining in the Kickstarter campaign for Children of Morta, a "story-driven hack ‘n slash roguelike." When we first reached out to developer Dead Mage about their game, the inclusion of local co-op was just a stretch goal. That goal is now surpassed and we wanted to find out from them exactly what they have in store. Co-Optimus: Tell us a little about yourself and your team. Amir Fassihi: My name is Amir Fassihi and I am the team lead at Dead Mage. Our independent studio was formed in 2010 and so far we have released three PC titles and one mobile game. Our last game was Shadow Blade, which was received very well. We currently have two teams in the studio, one working on the Shadow Blade sequel and one working on Children of Morta. 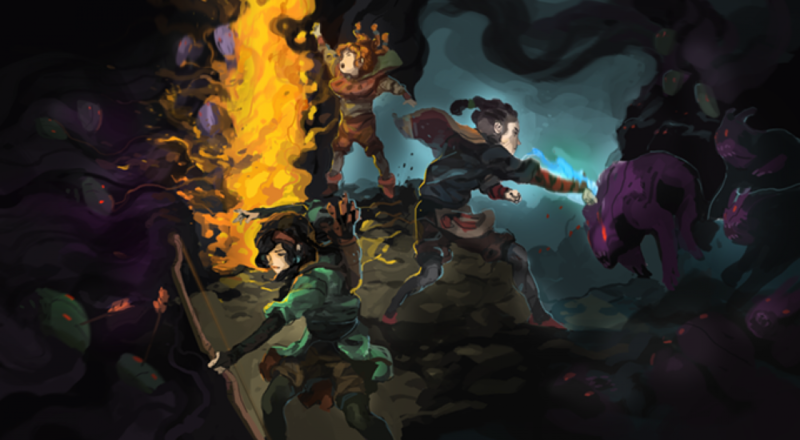 Our Children of Morta team consists of 7 developers. Co-Optimus: Tell us about your upcoming title, Children of Morta; you currently have a Kickstarter underway to fund this project, correct? Amir: Yes, at this point we have a few hours remaining from the Kickstarter campaign. 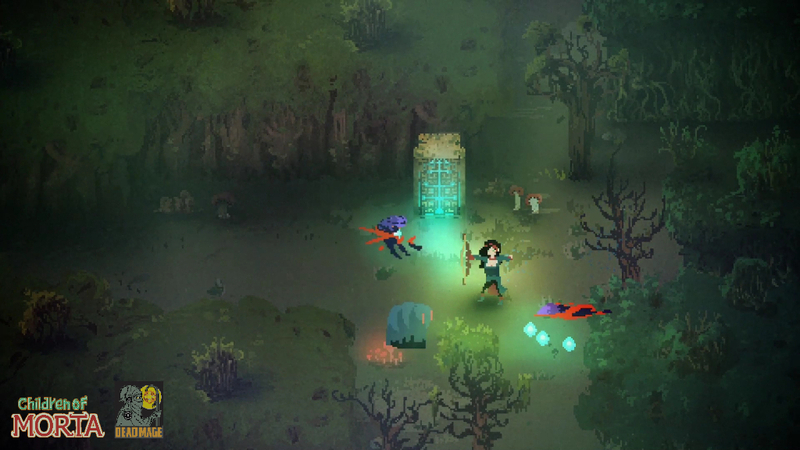 Children of Morta is an action roguelike game about a family of guardians. You will have the option to play as any of the family members and they all have their unique skills and abilities. Narrative and storytelling is important in this game. Co-Optimus: How did this game come about? It seems like something of a departure from your previous titles, Shadow Blade and Garshasp, though certain elements do appear to carry over. Amir: We started with the idea of making a roguelike game. We love hack and slash games so that was in the plans, however, we were looking for some fresh air in the genre and new ideas, the idea of the family came up in one brainstorming session and everyone gave a thumbs up. Our artists are doing a fabulous work on this game and the visual style is the result of their natural talent. Co-Optimus: Are there any older games that served as inspiration? I am reminded of the “Legacy of the Wizard” title (part of the Dragon Slayer series in Japan) for the NES where players could pick different family members and go on an adventure. Please tell me I won’t have passwords to remember to save my progression. Amir: We saw that game just recently, there are similarities with our game regarding the concept of the family but no, that was not something we were aware of. We didn’t have many references for the family part in games, the closest inspirations are probably from Miyazaki animations and the Starks in Game of Thrones. In games, roguelikes like The Binding of Isaac, Spelunky, Risk of Rain, FTL and Rogue Legacy have been influential. Co-Optimus: The art style for the game is so beautiful; the animations of the characters and enemies play upon that “modern pixel art” so well. What lead to the decision to go in that particular direction? Amir: It all started from the concept art and work that our artists, Soheil and Arvin did. We decided to go with pixel art but we didn’t constrain ourselves technology wise so we were able to use advanced lighting and shadows or various post process effects which give the unique look and feel to the game. Co-Optimus: Speaking of the characters, can you shed more light on the playable characters themselves? Each one seems to have his or her own specialty. Amir: They are part of a family called the Bergsons. For example the father, John, is great with large swords and their ancestral shield, the younger daughter Lucy has learned some magic and alchemy from grandma Margaret, their elder son is fascinated by martial arts and refuses to take any kinds of weapons with him when he goes into the dungeons. They have an Uncle, Uncle Ben, who is a master craftsman and has dedicated his time to making valuable gears and items for the rest of the family to use. These were a few of the Bergsons. Page created in 1.1344 seconds.